Distance won over: 12f. to 15f. 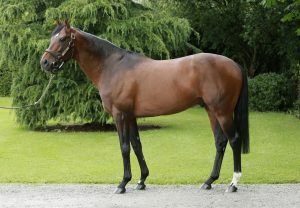 Rated 127 by Timeform in 2009 - the equal of Champion Stakes winner Twice Over. 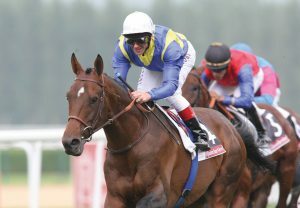 Own-brother to Italian Oaks-Gr.1 winner and Yorkshire Oaks-Gr.1 runner-up GUADALUPE. 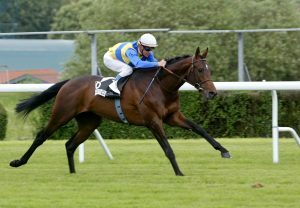 From the family of multiple Group 1 winners ALEXANDER GOLDRUN and GOLDIKOVA. “GETAWAY inevitably drew comparisons with the same connections’ Shirocco and Manduro, [both also by Monsun] but that’s well warranted, as he looks top class.” Timeform, following the Jockey Club Stakes. Foals in 2018 sold for €45,000, €37,000, €37,000, €34,000, €32,000, €31,000, €30,000 etc.